As the US data flow eases and we head into the pre-FOMC meeting blackout period, the market will have the opportunity to reassess its long USD position and focus on events outside of North America. This is especially true as the focus turns to the Italian Constitutional Referendum and the ECB monetary policy announcement. While keeping a longer-term bullish USD stance, we think selection is key as pairs such as EUR/USD may still be in the process of bottoming out. The outcome of the Italian referendum should be known by Monday morning CET, with exit polls pointing the way from Sunday 11pm CET. Opinion polls put the ‘no’ vote slightly in front, but with a large number of undecided voters. A ‘no’ vote would not be a prolonged negative for the EUR, in our view, especially if PM Renzi remains. If he were to resign, he would likely receive a second mandate to form government. 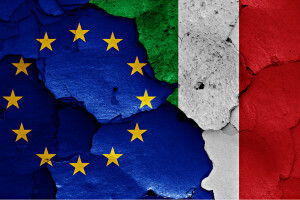 It would also take a decisive victory by the ‘no’ vote to turn Italy away from its reform process. Austria’s Presidential election re-run, also Sunday, is unlikely to generate significant volatility. Our economists expect the ECB to extend QE by another six months. An extension of the issue share limit to 50% as well as dropping of the deposit floor on the purchases of EGBs should provide the ECB with enough assets to prolong its asset purchases programme. However, as an extension is widely expected, it is unlikely to trigger sustained currency downside. We also note that an extension of QE is the ECB simply maintaining its current policy stance, not loosening it. The RBA and BoC also meet next week. We expect the RBA to remain on hold and for its decision statement to broadly confirm market pricing. The bigger local risk for the AUD is the Q3 GDP data release. Based on prevailing partial data, Australia is at risk of recording its first contraction in GDP in over five years. We remain short AUD/USD* to express our bullish USD view. The focus for the CAD in the coming week will be the BoC meeting. The central bank is likely to remain on hold and ambiguous with respect to its bias.